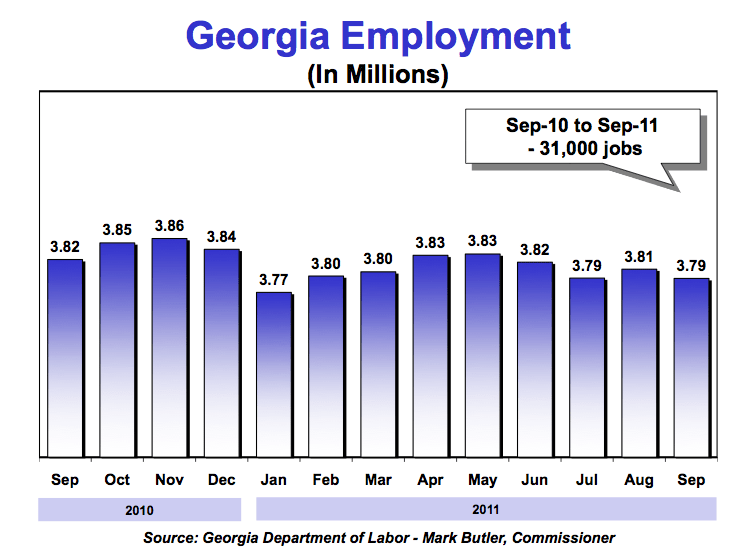 The best thing about yesterday’s release of September jobs data for the state of Georgia is that the press release only contained a little bit of spin — and that was justifiable spin. In recent months, the Dept. of Labor press releases have swirled seasonally adjusted and not seasonally adjusted information together, thrown them in the air, and invited lazy coverage. For more on that, check out this previous post. 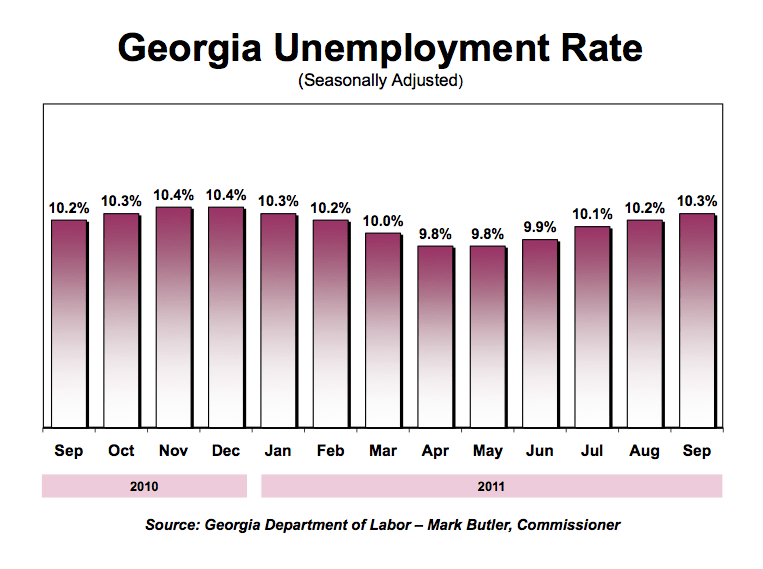 There’s some good news for most of the state in the declines from September a year ago. Still, within the Savannah metro area, we should see claims fall about 30% more to get us back near the pre-2007 norms. 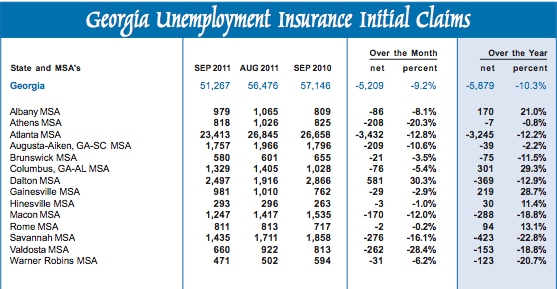 Of the state’s 31,000 job losses, 19,200 of them have been in government, with more than half at the local level. 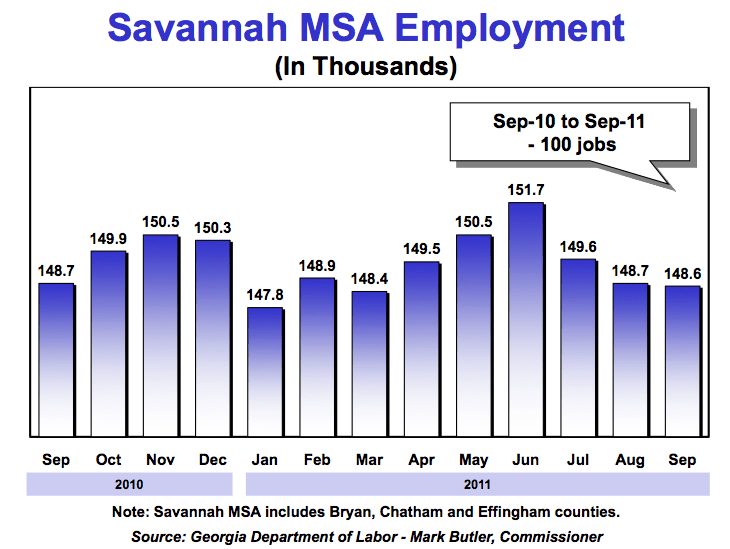 Compared to last September, Savannah gained 300 government jobs, but lost 400 in the private sector.